The public on Tuesday will see the search warrant and other documents related to last year's FBI raids on the home and office of Michael Cohen. What we might learn: The origin of the investigation, the timeline of events, what investigators were looking for in their search and other details into the case of President Donald Trump's former attorney and fixer. U.S. District Judge William H. Pauley III on Monday ordered redacted versions of the documents to be released after nine news organizations, including ABC and CBS News, The Associated Press, CNN and The Wall Street Journal, sought to unseal them citing high public interest and a right to access. In a Monday statement, Cohen's lawyer Lanny Davis said the release of the documents furthers Cohen's interest in "continuing to cooperate and providing information and the truth about Donald Trump and the Trump organization to law enforcement and Congress." More: Did Trump keep his 19 promises to insulate himself from his business? Only he knows. Opinion: Michael Cohen only flipped because he got caught. That's all we can expect in the Trump era. Prosecutors had opposed the request, saying disclosure "would jeopardize an ongoing investigation and prejudice the privacy rights of uncharged third parties." The judge's order will allow for the redaction of information that could impact ongoing investigations. Cohen's personal information - including phone numbers, email addresses and housing details - will be redacted, according to Pauley's order. Pauley acknowledged the media organizations' point in a 30-page filing on February: "The public interest in the underlying subject matter of the materials - which implicates the integrity of the 2016 presidential election - is substantial," the judge wrote, according to the Atlanta Journal-Constitution. In December, Cohen was sentenced to three years in prison by Pauley for crimes including lying to Congress and paying two women to keep quiet about alleged affairs with Trump. He is scheduled to report to prison in early May. 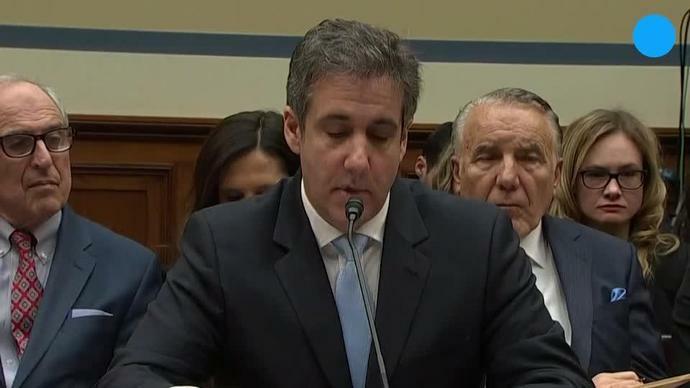 Cohen went before Congress in February to testify about illegal activities and lies he said he did on Trump's behalf, labeling the president as "a con man" and "a cheat." Of Cohen's testimony, Trump said, "It was pretty shameful, I think," adding that Cohen's appearance before the House Oversight and Government Reform Committee was a "fake hearing." The New York Times, New York Post, Newsday and the Daily News were also among the news organizations in the legal action to access the Cohen documents.